Aldershot man jailed for offences including breaching criminal behaviour orders. A 29 year-old man who caused anti-social behaviour in Aldershot’s town centre has been jailed for seven months. Chris Waite of Grosvenor Road was sentenced at Winchester Crown Court on Thursday 2 August. Three months in prison for breach of a suspended sentence. Two months in prison each for breach of a criminal behaviour order, assault, and theft to be served concurrently for these offences, but consecutively to the other offences. Two months in prison each for assault and two breaches of a criminal behaviour order to be served concurrently for these offences, but consecutively to the other offences. Temporary Chief Inspector John Halfacre said: “I’m pleased that this sentence sends a clear message that anti-social behaviour (ASB) will not be tolerated in Aldershot’s town centre. “Waite is well known in the local community and many people have seen him drinking on the street and causing anti-social behaviour. We obtained a criminal behaviour order, which restricted his movements and behaviour, however Waite chose to breach the conditions of this order. 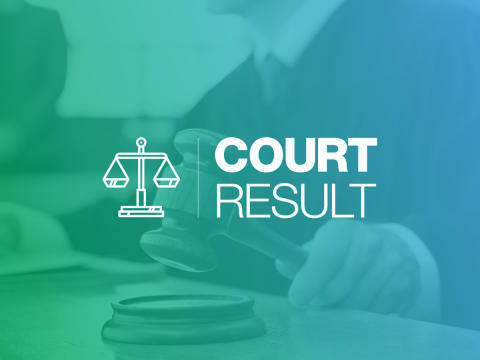 We have worked hard with the other agencies involved in the Safer North Hampshire Community Safety Partnership to secure this conviction which reduces the harm Waite can cause to members of the local community. “We have a number of powers to tackle ASB and these include: community resolutions, dispersal orders, fixed penalty notices, acceptable behaviour contracts, and criminal behaviour orders. There is also a Public Spaces Protection Order in place in Aldershot.